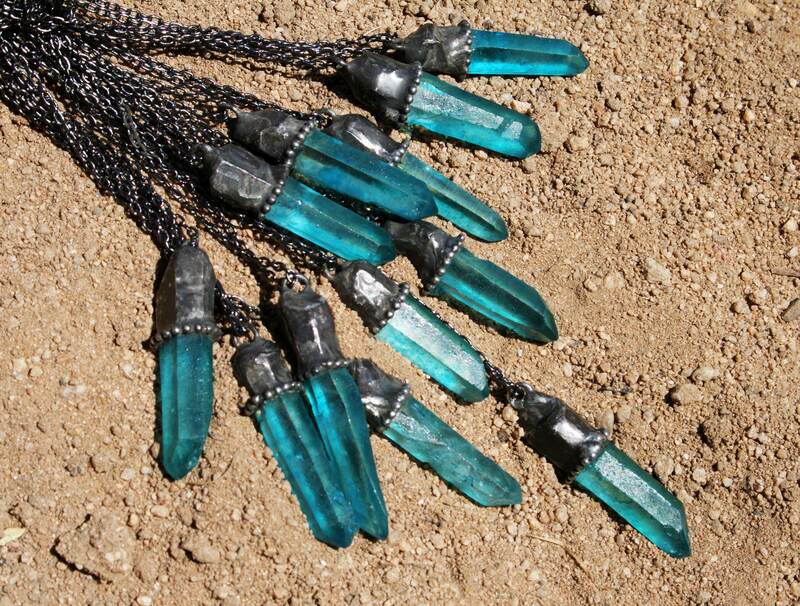 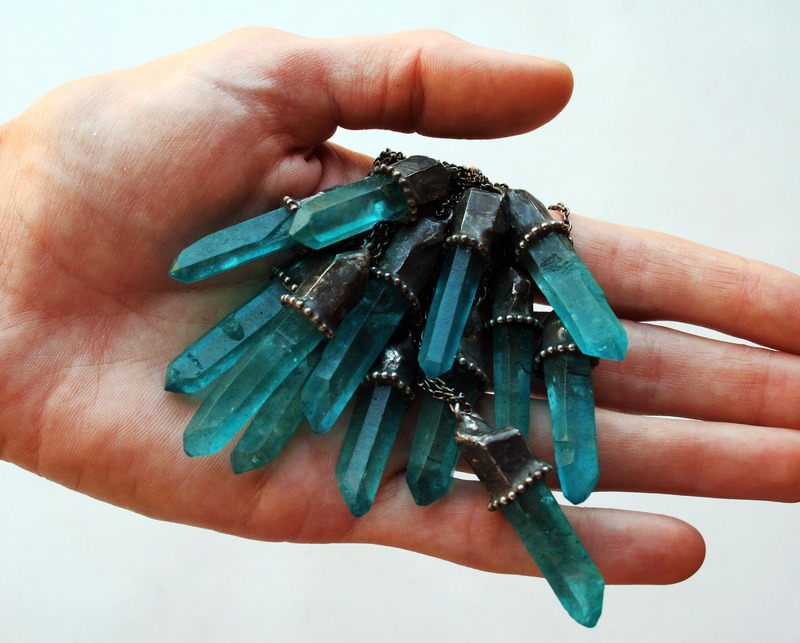 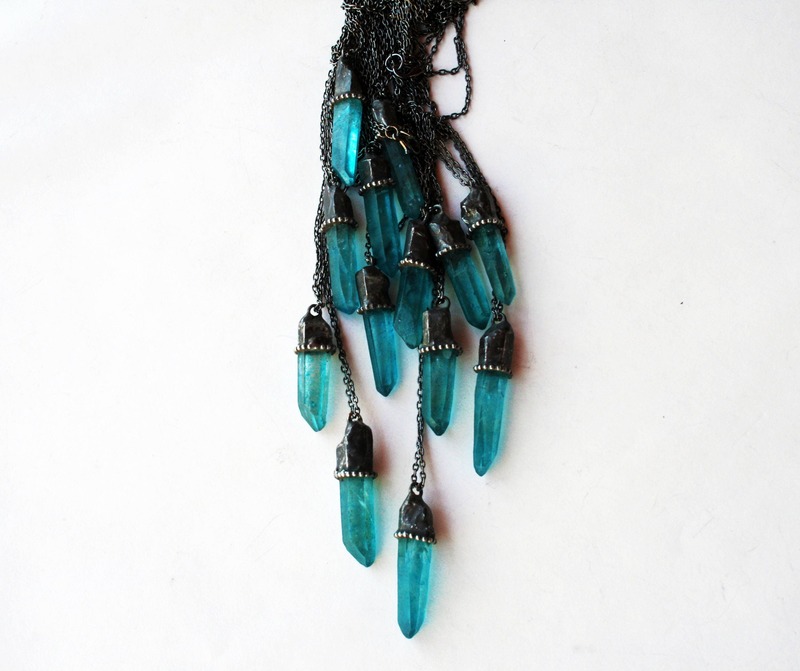 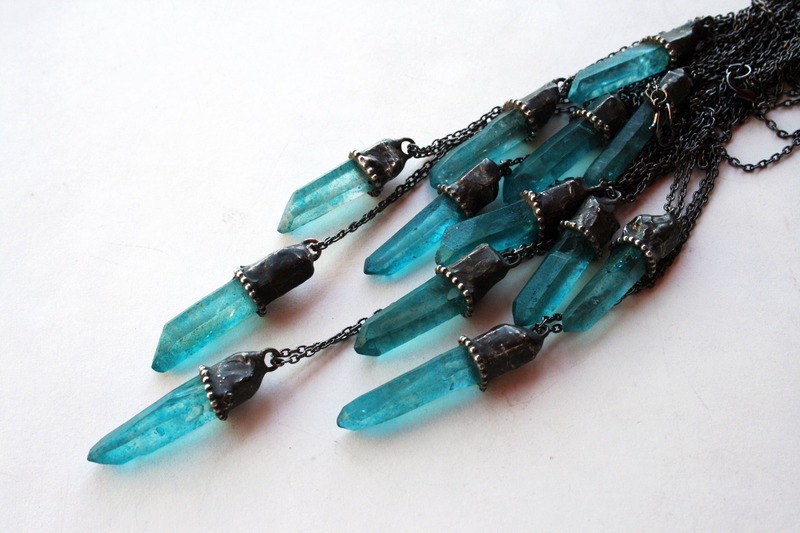 One necklace featuring a small, long, bright cerulean blue quartz crystal point, in a handmade oxidized silver alloy solder setting, hanging from a 17" gunmetal plated brass chain. 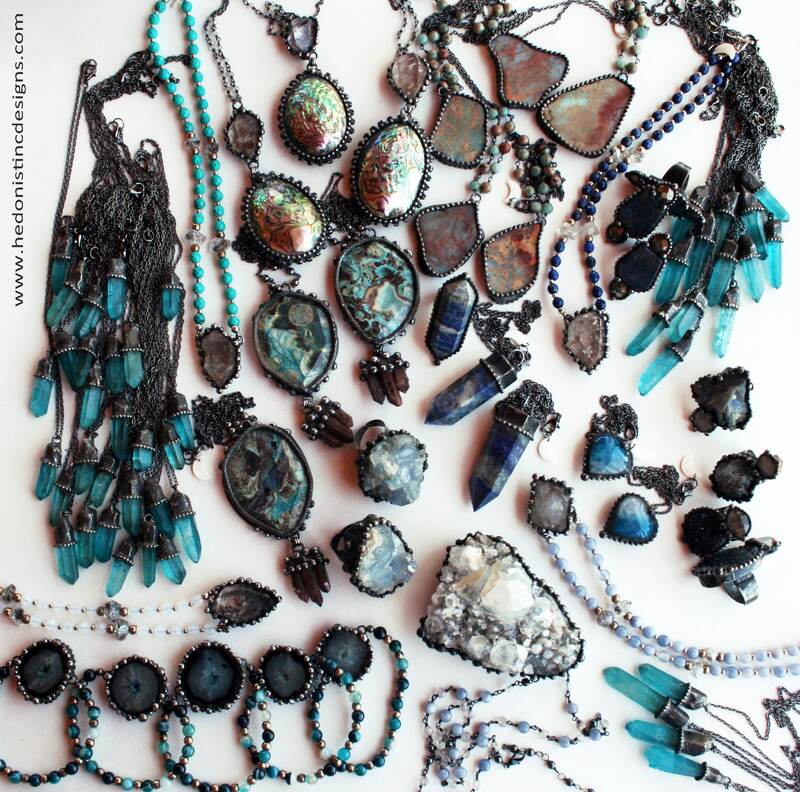 Please note most of these have very nice terminated points, most also have some minor inclusions or imperfections as pictured. 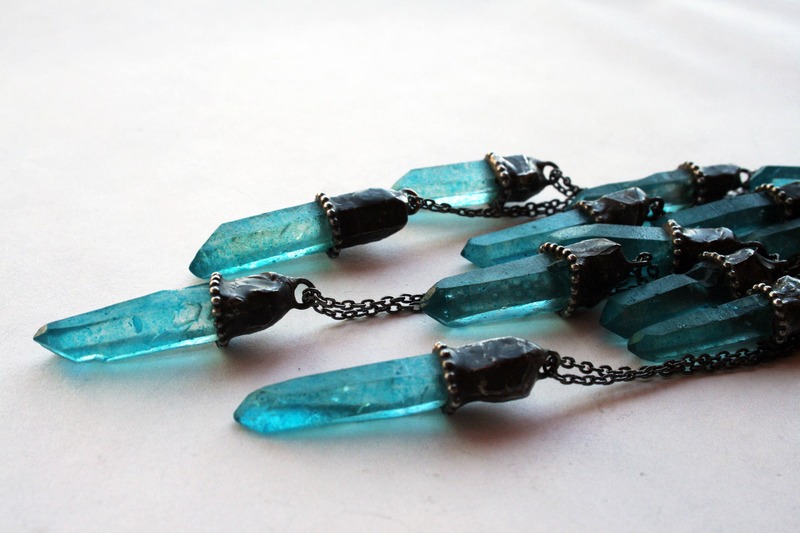 These pendants roughly measure 1.6" - 1.85" including the setting and bail.